Retro Games Ltd has announced plans to release the C64 Mini early in 2018. This is a new version of the world's best selling home computer, built at 50 per cent scale, with 64 built-in games and modern connectors/interfaces such as HDMI and USB. UK firm Retro Games has developed the C64 Mini and it will be distributed by Koch Media with a 1.5m (5 foot) wired USB classic joystick (looks like a 'Zip Stick'), a USB charging cable, and an HDMI cable (both 1.2m (4 foot) in length). The original Commodore 64 was launched in 1982 and dominated the home computer landscape for much of the 1980s. Now its 35 years later and there has been some inspiration for businesses via the success of the Nintendo NES Mini - and more recently interest in the SNES Mini, and the new Atari games console. The 64 built-in games come from developers such as Epyx, Gremlin Graphics, Hewson and The Bitmap Brothers, and titles including California Games, Speedball 2: Brutal Deluxe, Paradroid and Impossible Mission are present. 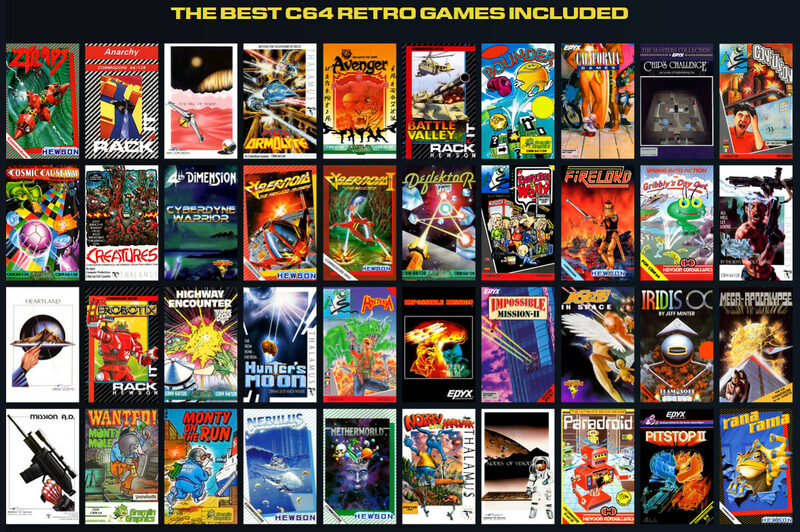 Retro Games says that most of the titles that are built-in were awarded 90 per cent or better scores in leading computer gaming magazines of the time. 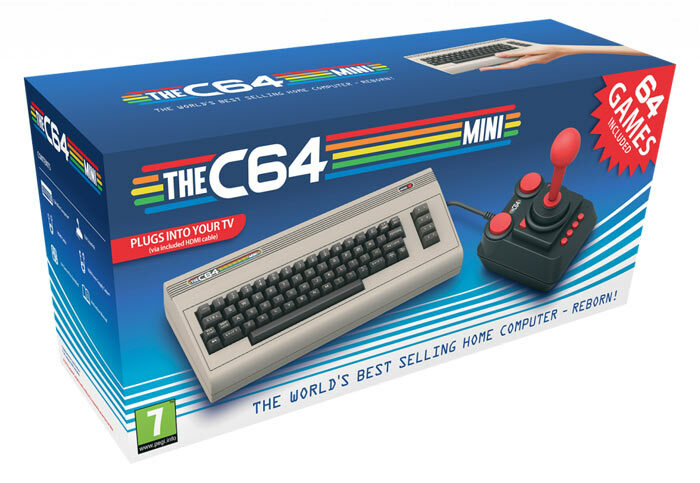 There are several hints that the C64 Mini isn't a closed 'console-like' retro gaming system. The launch press release states that "As befits a home computer you can also plug in a standard USB PC keyboard and use as a classic C64 to type in those old BASIC computer listings or program new games." In addition the product maker promises "Future software updates can also be assured by firmware revisions via USB flash drive". Retro Games Ltd intends to work on other similar products, calling the C64 Mini "the first in a planned series of products". Meanwhile, there's still a wait until the C64 Mini hits retail. It is projected to be available from early 2018 and it will come with an RRP of £69.99/$69.99/€79.99. So the actual keyboard on the computer itself is purely decorative?! I don't remember Speedball II being a C64 game, thought it was an Amiga one? Does that mean this will play Amiga games as well? If so, get me this, and a copy of Sensi, I'm in! Speedball 2 Brutal Delux, loved that game. So much fun.